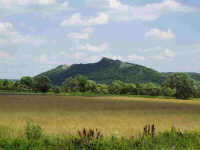 The cave can be found near the Papp Ferenc Research Station, one kilometre from Jósvafő. 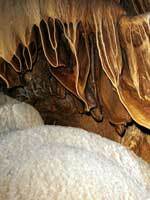 Dripstone columns and soda straws are characteristic of the cave, but flowstones and helictites are also abundant. 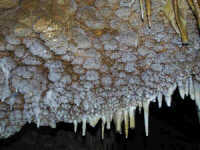 The unique colour of the cave is reflected in the name of the most outstanding formation the "Orange Cascade". The tour takes an hour, and covers about 400 metres. The 2 kilometre long walk between the ticket office and the cave entrance is a guided ecotour and takes an additional hour. For the protection of the cave the number of visitors is limited to 10 people at a time. The cave can be reached with a two-hour hike. 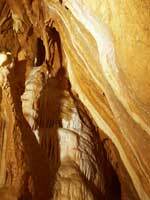 The tour in the cave takes approximately 3 hours and covers about 1200 metres. The route is lined with fabulous red and white dripstone formations, such as flags and limestone pools. It passes the Orange Cascade and the Red Hall, and ends at the Rope-ladder Siphon. There is an active underground stream in the cave, so warm, waterproof (or an extra) outfit and waterproof boots are necessary. Visitors are provided with battery torches. Participants have to be 14 years old of age or above. 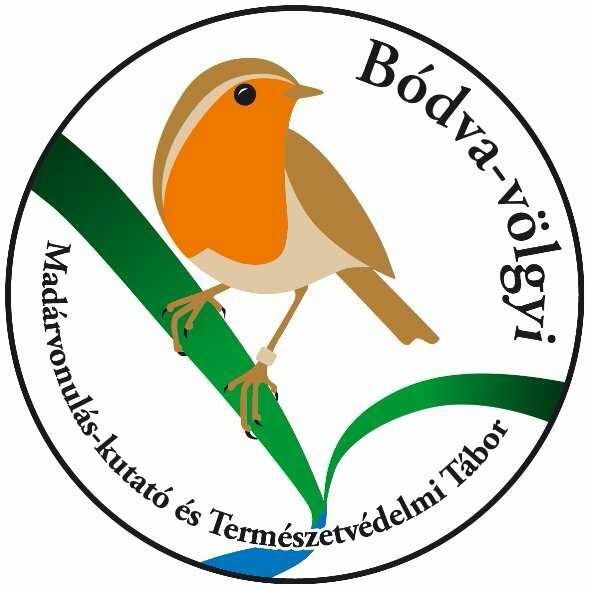 This cave is situated near the village of Bódvarákó, on the Esztramos hill. The popcorn and other formations, the spectrum of colours, the crystal clear water of its lakes entertain visitors at every step. The cave is accessible through an artificial tunnel with iron steps and ladders to help participants discover this underground world of wonders. The tour takes about an hour, its length is 400 metres. All year round tours leave on advanced booking (2 weeks prior to the tour) with a minimum of 5 participants. For the protection of the cave the number of visitors is limited to 8 people at a time. 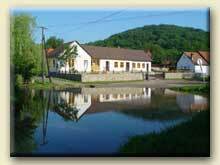 Tickets are available at the ticket office next to the cave entrance at Jósvafő and Aggtelek. Students having International Student ID card are given a 50 percent discount.